Tomorrow We Sail are a seven-piece band from Leeds who make the kind of slow-burning emotional epics which have served the good ships of Heligoland, Sealight and former labelmates Her Name Is Calla in recent times. It is immediately apparent why they are signed to Gizeh Records too. 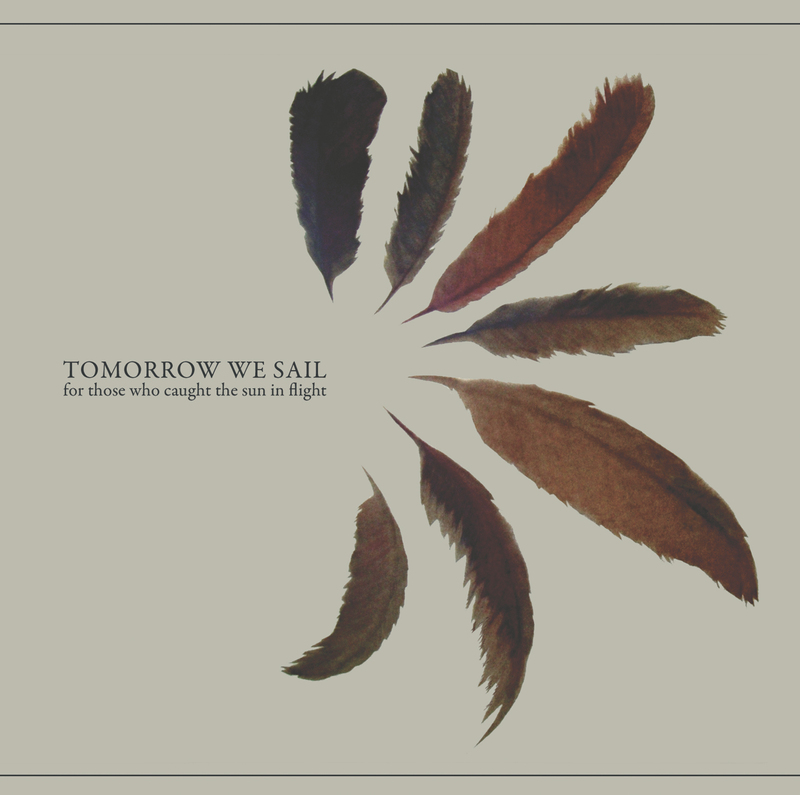 This is bruising and despairing music but just like other members of the roster, there is beauty to behold as well and Tomorrow We Sail have clearly used the four years of preparation purposefully in making their first album; honing their arrangement skills to perfection. ‘The Well & The Tide’ builds steadily from modest orchestration and frontman Tim Hay’s quiet murmuring to thunderous drums, bursts of classical accompaniment and then Hay transforms to harrowing cries and ever-more emotional outpourings. ‘Never Goodbye’ is the most gentle track and features lovely interplay between the Hay baritone and Ella May Blake’s folky tones but then there’s the most dramatic track, ‘December’, which grows from eerie unsettling ambience into an apocalyptic storm of wind-tunnel guitars and thunderous percussion. After this sudden outbreak of post-rock, ‘Testament’ reverts to sailing in calmer waters, the guitars audibly glistening in the sun as a wounded bird vocal from Blake appears to reflect on the drama has gone on before. ‘The White Rose’ revolves around the line “We will not be silent” with all band members harmonising together, united in a powerful demonstration of their confidence and beliefs. Then the album ends with the monolithic ‘For Rosa’; acting as a final intense suite combining all the best elements of what has passed before. If Tomorrow We Sail were a sea-worthy vessel it would be a rickety old war ship, ravaged by great battles and tragedies yet within every nook and cranny, there is an air of dignity and defiance. One could complain that Tomorrow We Sail sound over-burdened with the weight of their despair but it’s rare to witness a band handle that weight so effectively and by the end of it you might feel just a little bit euphoric as one gorgeous and elegantly arranged song follows another.